The possibilities are massive. You could organise the cheapest LAN party of all time, or use the Pi to learn the fundamentals of programming on a miniscule budget. It’s like hacking your way into Minecraft and modifying the game world with code, a bit like being Notch, Jeb, or Nathan, but arguably more fun and less stressful. You can start by building structures in the traditional Minecraft way, but once you’ve got to grips with the in-game features, there’s opportunity to break open the code and use programming language to manipulate things in the game world. You’ll be learning new skills through Minecraft. 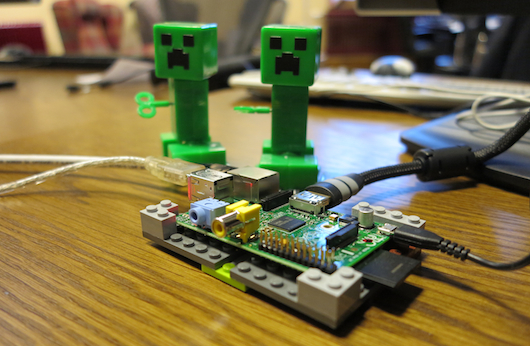 The Raspberry Pi Foundation are a registered charity. They sell the Pi from $35, and ship them all around the world. It’s already being used in schools to get children interested in programming and help them learn Linux, which Daniel describes as “the operating system of the future.” It’s a great way to widen people’s perspective on what computers can achieve. We’re extremely excited to be involved, and can’t wait to show you more. Read more about the Pi, and find out what you need to get started, at their official site and dedicated wiki. 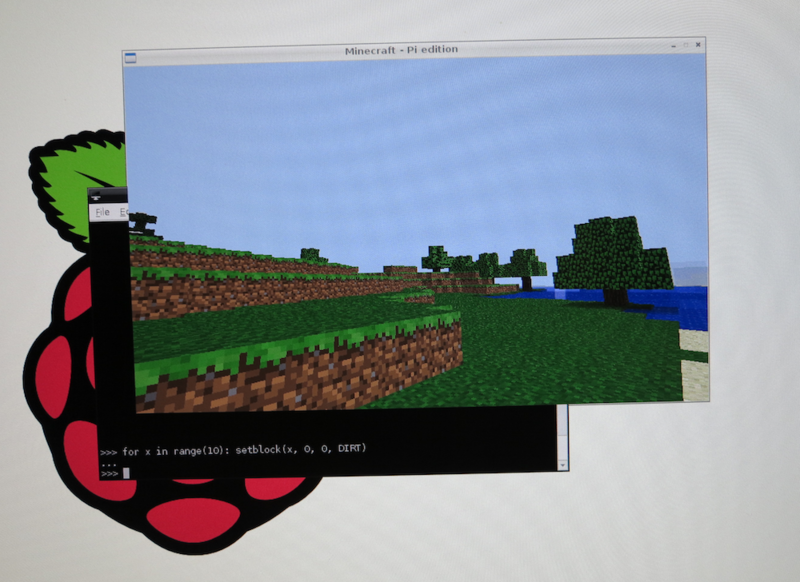 Minecraft: Pi Edition will be available to download soon.